An intimate portrait of the complex artist in images of his paintings, his own words, and the words of his contemporaries. Renoir the happy family man is clearly visible in the warm, domestic tones of so many of his paintings, and yet White describes in great detail the second life he kept from his wife Aline, the life he led with his mistress Lise and their daughter. The smiling, accommodating Renoir is everywhere in these pages, but so too is the ‘wheeler-dealer, manipulative and self-serving character’ White carefully constructs from letters and accounts of friends … The Renoir portrayed here is a generous, cheerful man but also a furtive and sometimes duplicitous one, a painter of genius who often churned out hackwork, a loving husband who constantly worried his wife would find out about the systematic lies he'd been telling her for years. It's a Renoir scarcely hinted at in the sunny swirl of his paintings – and all the more fascinating for that. Renoir: An Intimate Biography is Ms. White’s second study of the painter, drawing on an additional 2,000 letters made available since her Renoir: His Life, Art, and Letters appeared in 1984. Through Ms. White’s command of Renoir’s correspondence we get vivid glimpses of his inner life … Ms. White, whose portrayal of Renoir in decline is neither cloying nor gratuitous, accentuates the inverted relationship between the painter’s dismal reality and his life-affirming subjects … Ms. White is reliably content to let Renoir speak for himself, allowing his grounded aims (‘originality within tradition’), temperament (‘you know what it is to be popular—it always starts well and always ends badly’) and wit (‘if I only sold good things I’d die of hunger’) to shine through. This documentary life, based on thousands of letters, many unpublished, which she has collected since 1961, is the most personal account of any Impressionist ever written. It engages with Renoir from a domestic rather than art historical perspective, bringing to quotidian life the stick-thin, wiry, energetic painter, pipe in mouth, as he converses in a rasping guttural Paris accent to friends and lovers, rearranges his cluttered studio, chats to servants in the grand homes of his collectors … For Renoir devotees, this is an unmissable, revelatory account. Flawed, however, by extreme pedantry of style and simplistic commentary, it will soon lose the general reader, whose level of understanding White doubly underrates … Renoir was complex, subtle, elegant and talked down to no one. 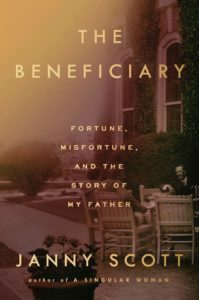 You can find him in these pages, but with its treasure trove of primary sources, this book could have been so much better. 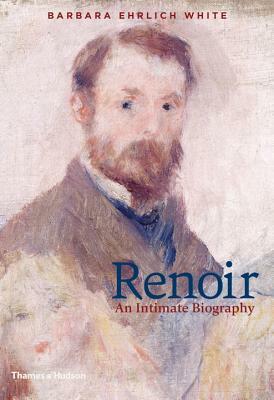 What did you think of Renoir: An Intimate Biography?